Night fighters were an important part of the defence of the German Empire in World War II. In the beginning of the second world war the tactics of the Luftwaffe were mainly aimed at attacking not occupied territory. Example of this was the “battle of Britain”. German bombers were sent escorted by fighters towards England with the intention of the destruction of English airfields and the major cities. This didn’t have the desired effect and the Germans came to the discovery that they had to defend their country faster than expected. Especially at night the German cities were very vulnerable. The night bombardments of the Allied forces were increasingly effective. The luftwaffe had a big problem. c) how we switch the Luftwaffe over from an offensive to a defensive airforce. Finding a plane in a dark night was a matter of constant development and improofment of the technique, on both sides of the warring parties. To this kind of technique nazi Germany had never given it the highest priority, because e.g. 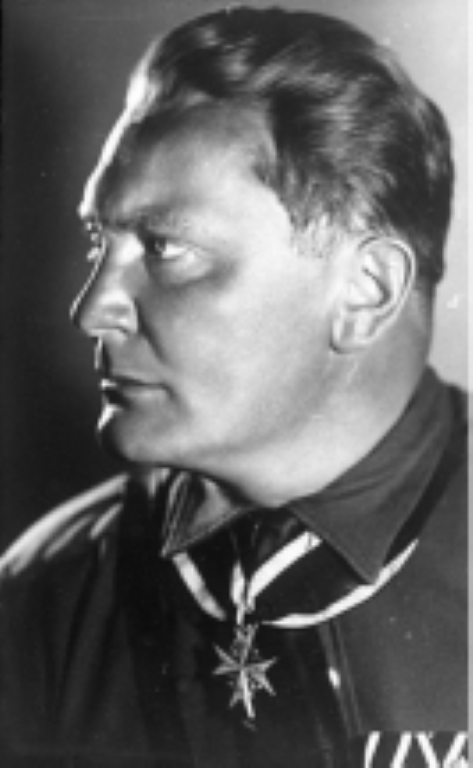 Hermann Goring as head of the Luftwaffe solely believed that his invincible forces would be mainly in the offensive. He stated that there would be no English bomber over Berlin ever. Goring said this before the Battle of Britain was started and then he became quickly apparent that England was not defeated and it turned out that the enemy was more than able to bomb Germany on a large scale. Technically the Germans had a kind of beacon system, this was only used for German aircraft to bring precision to the target and bombing. The system that was installed was called the Knickebein system. 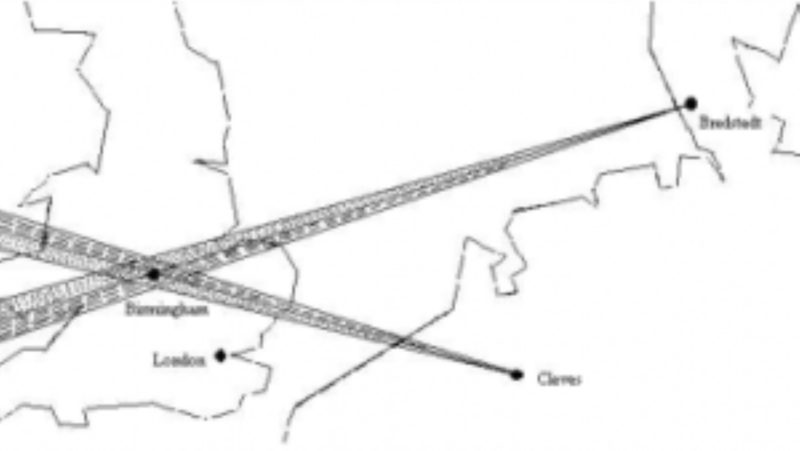 For instance, along the French coast the beacons of the X-Geraet were placed in Cherbourg (2 beams with the names: Weser-Spree), in Calais (3 beams with the names: Rhein-Else-Isar) and one in Brest (named Oder). There were also beacons placed in Germany and Denmark for a better coverage of Great Britain. The system worked as follows: A bomber of the German Luftwaffe flew toward the target. 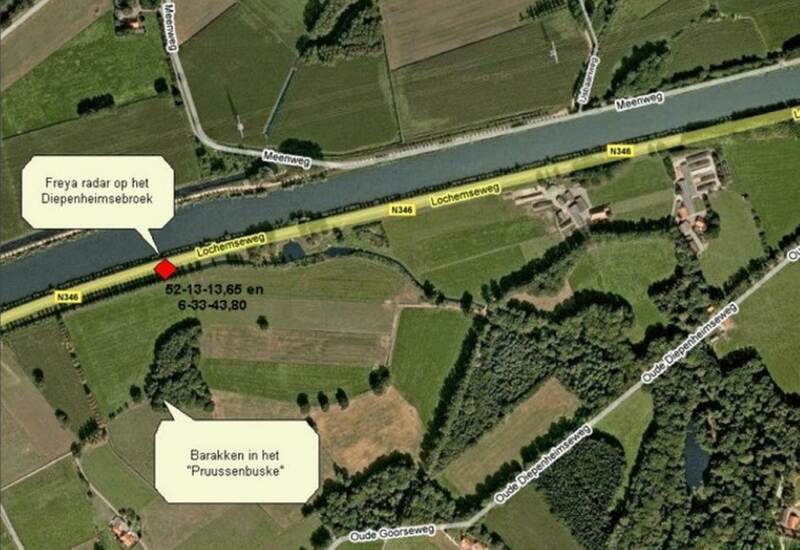 If the bomber arrived at the spot where both signals were audible with the same strenght, this was the correct location. The correct location was in fact indicated through cross position bearing. The end of 1940 the system was rebuilt: They started to use the Y-system which consisted of one beacon. There was a signal sent to the aircraft and after filtering the signal was returned, the location could then be calculated. 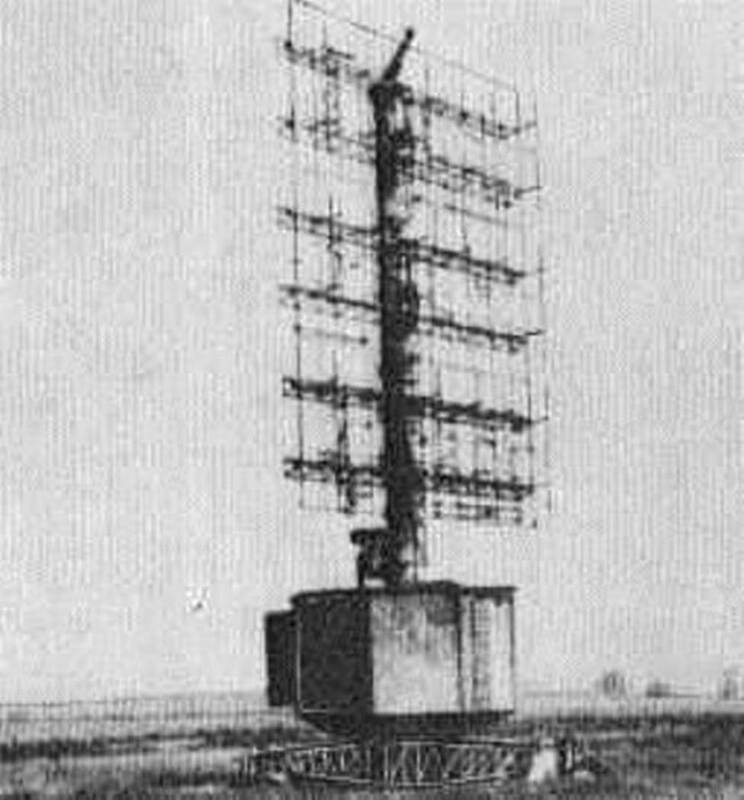 Development of the first German radars. Before the outbreak of WW2 there was already some radar equipment developed and constructed to experiment with. This was in 1934. 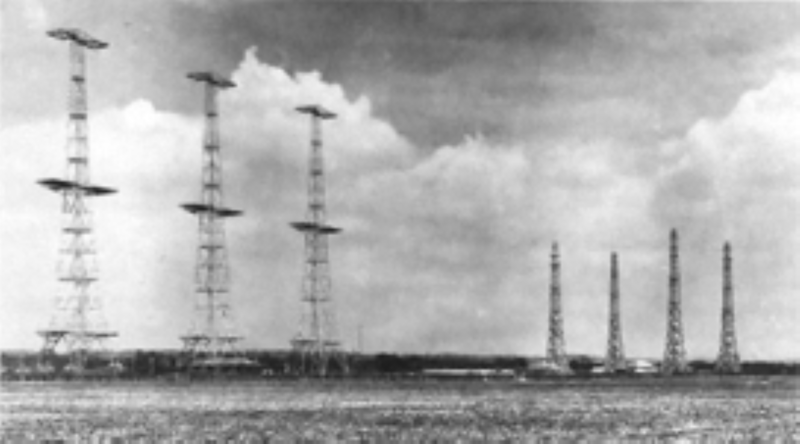 Only in 1939, the Germans placed their first radar experiment on the German Wadden island of Wangerooge and started to test this kind of technique. 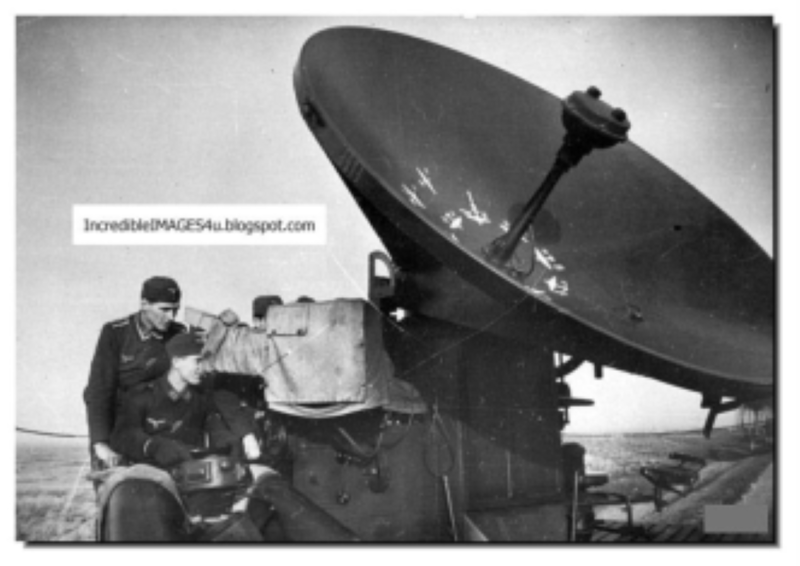 At that time the nazi-leadership gave no high priority to the development of the radar. A first compilation had effect, because one of the first English bombraids in daylight, ran bad for the English. Of the 22 Wellington bombers only 10 came back. A lesson for the RAF and one that the German leadership learned about later. 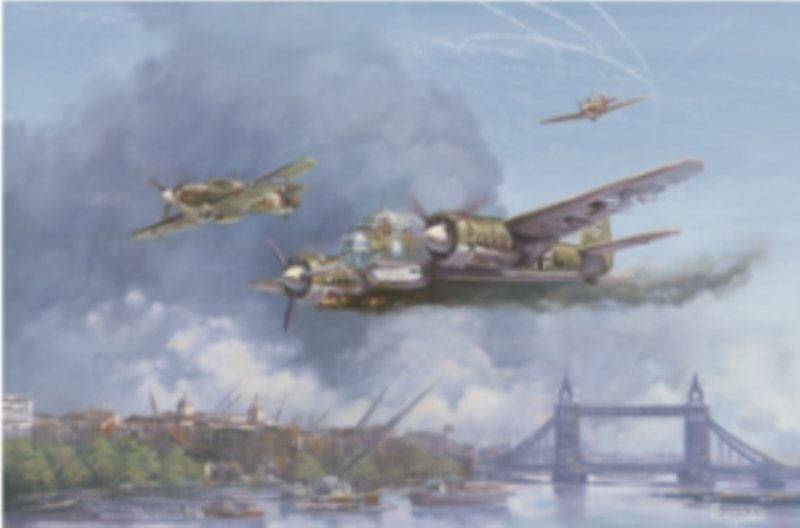 The English however did have some experience with locating hostile aircraft. 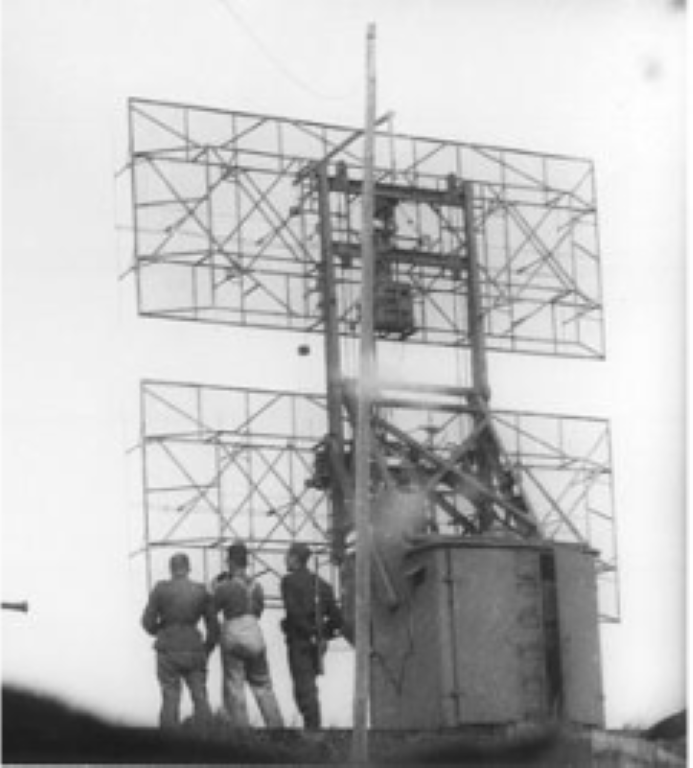 The system of ground control intercept radar by Chain-Home to English side however was developed and they were much earlier and better trained in its use. This meant that English hunters could remain longer in the air because they could be deployed more effectively, and later airborne. It is remarkable that the Kriegsmarine in 1938 were the first to work with an operational radarsystem, installed on the Pocket battlecruiser named Admiral Graf Spee the system was called DeTe-I; better known as Seetakt. The company GEMA had designed and built this exclusively for the Kriegsmarine. The Seetakt was the forerunner of the Freya. The first Luftwaffe system was the Freya. With this radar system the Luftwaffe became an air-warning system for great distances. A Freya could perceive planes over 100 km distance, depending on the setting and location, but there was no altitude-indication. After 1940 we see in the occupied territories along the long coastlines that there were both radars of the Kriegsmarine, of the Army (Heer) as of the Luftwaffe. Any form of cooperation and exchange of information between these components, however, lacked completely. In the same period Telefunken developed a 50 cm radar. It’s was called after a German city, Würzburg. With a dish diameter of 3 meters it indicated the altitude of the planes excellent. This became a very successful product for anti-aircraft (Flak) guns and was later succeeded by the improved version, fitted with a 7.5 meter dish, which was made by the Zeppelin factories and was called: the Wurzburg-Riese. (Würzburg-giant. At first the British bombing flights were of small size, however, these were becoming more frequent and heavier. A big problem for the German cities and indirectly for the German Luftwaffe, whose job it was to keep the skies free of enemy planes and avoid bombings. The tactics of deploying individual fighter aircraft based on simple air observation direction was not sufficient enough. There was a Colonel at the Luftwaffe who knew how to solve this problem. 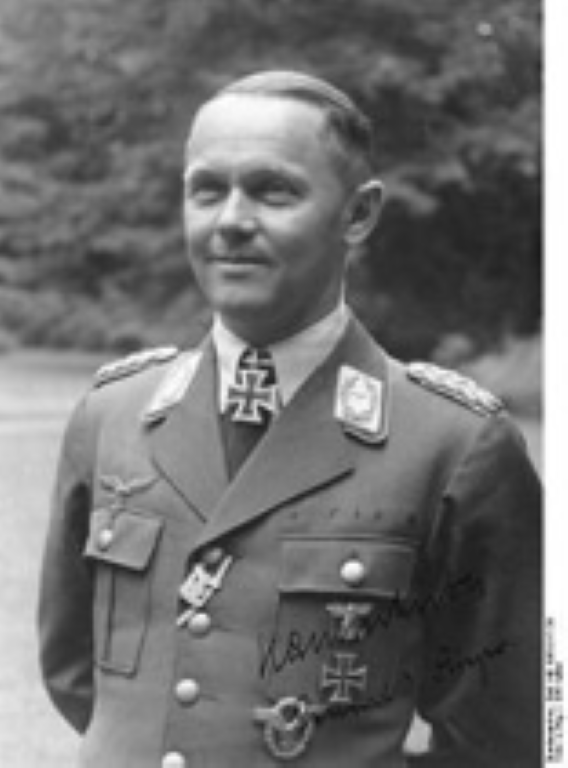 Josef Kammhuber became head of the Nachtjagd Division in Zeist, Holland. After the war he became a high command at NATO. The Germans placed a belt of searchlights (the so-called Kammhuber line) that stretched from central Denmark to the south of France. This belt consisted of overlapping zones of 45 km long (North-South measured) and 22 km wide (East-west). Each zone consisted of one main control centre with managed one main and several auxiliary searchlights. The main searchlight was controlled by the early-warning Freya radar and a small Würzburg (62D FuMG/small dish) with a range of 40 km. The auxiliary searchlights were hand operated. In the territories in front and after this defence-line there were smaller radar centres placed to capture the planes on their return flight. Air defence system DuNaJa was a first to try on European soil to destroy English bombers as much as possible. When a bomber entered a defence-zone the direction of this plane was determined using the Freya radar and the altitude determined by a small Würzburg radar. Once found the control centre led a night Hunter, whose location was determined by radar too, to his prey, where a second plane assisted. 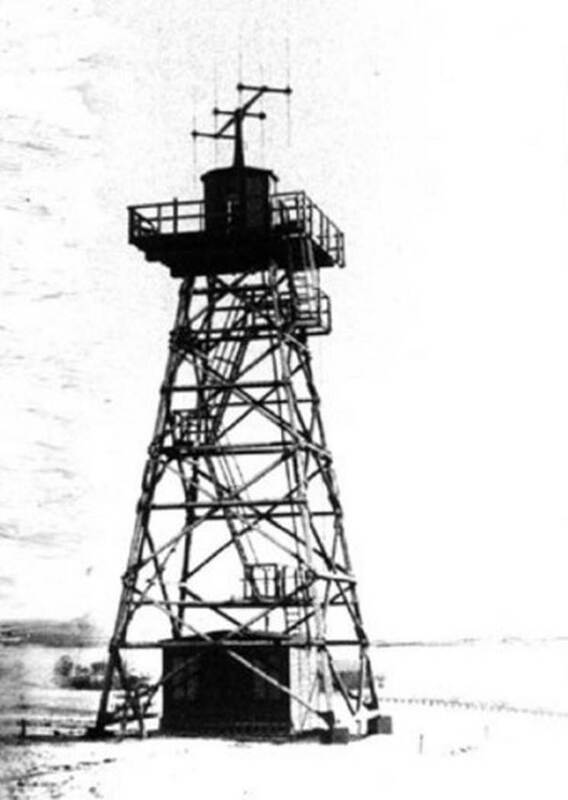 Until that time, The night fighters were more or less parked in the air around a light Tower/light beacon (Leuchtfeuer). This system was also known as DUNAJA ” dunkele Nachtjagd “. The radar conducted not only the aircraft but also controlled the Flak batteries. A disadvantage was that there had to be a cloud free heaven with a maximum up to 51%. Ju 88 and Me Bf 110 Dorniers DO 17 were primarily used as a nightfighter, with two crew members. A disadvantage of the system was that the Flak were not able to see the difference between the enemy bombers and their own planes at that altitude so often they shot down their own hunters. Later on appointments were made that the FLAK should not shoot above 5000 m.
A further development of the system was the Helle Nachtjagd (HENAJA);. The aircombat control centre, called Flugmeldemess Stellung, were equipped with 1 Freya and originally with 2 Würzburgs, later replaced by 2 Würzburg Riese. 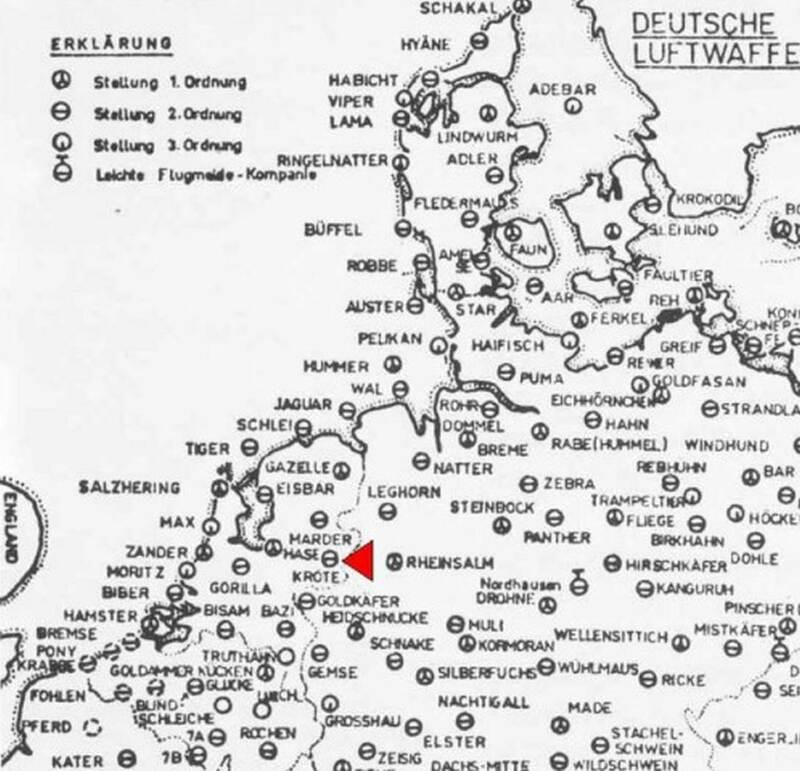 The bombers were detected by Freya (distance to 200 km) and on short distance inherited for height positioning by the Würzburg. The night Hunter was followed by the second Würzburg. The first Würzburg was called “der rote”( red one) the second Würzburg “der blaue” (blue one). At the radar station on the ground the JLO/Jaegerleitoffizier made use of visual resources as cards and chips on a table called ” Auswerte Tisch ” to control the positions of both aircraft to estimate the position to each other and also to get an idea of the dimension of the air war in his zone. This table was later on replaced by a projected 3-dimensional Seeburgh Tisch, which gave an image using a glass plate where there was a map of Western Europe etched in with quadrants-designation and also the maximum distance of the command centre was specified. Indicated by the locations of the aircraft on the plot table the JLO/Jaegerleitoffizier directed by the radio the Huntsman to the target to perform an interception. To the red Würzburg radar 3 searchlights were also linked. When the night Hunter was in the correct position, the 3 searchlights were turned on with the intention to illuminate the bomber. 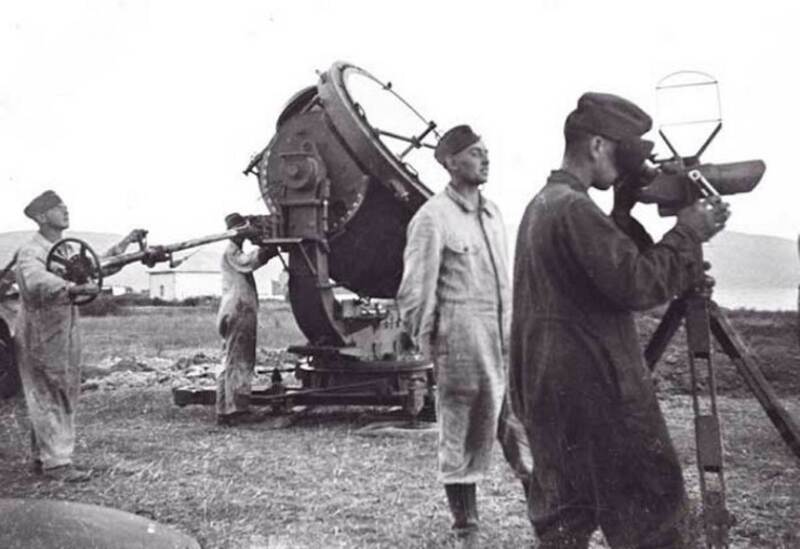 The HENAJA radar sites worked with three groups of 9 searchlights, so there was a wall of light. 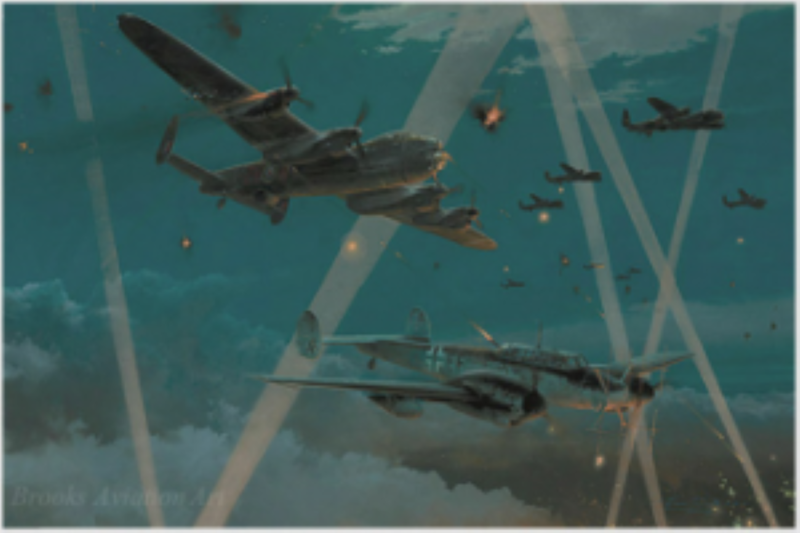 Of course the pilot of the bomber tried to escape from the net of searchlights, and sometimes he managed to do so, but generally speaking the method of finding a plane by a Flak-Würzburg was very accurate. 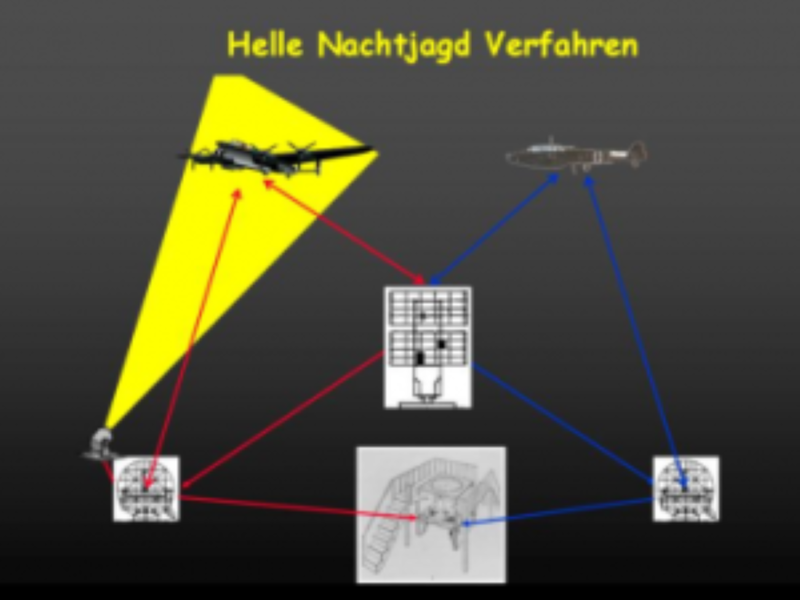 The system of control centres with searchlights was referred to as the Helle Riegel. Also called: Helle Nachtjagd Verfahren. HENAJA could work up to a clouded sky of 60 %. After that the fighters were not able to find the bomber, while the searchlights could not trace the bombers anymore. Three HENAJA sites were placed around a potentially important target (usually a city or factory) so that it was possible to distinguish bombers from different directions. 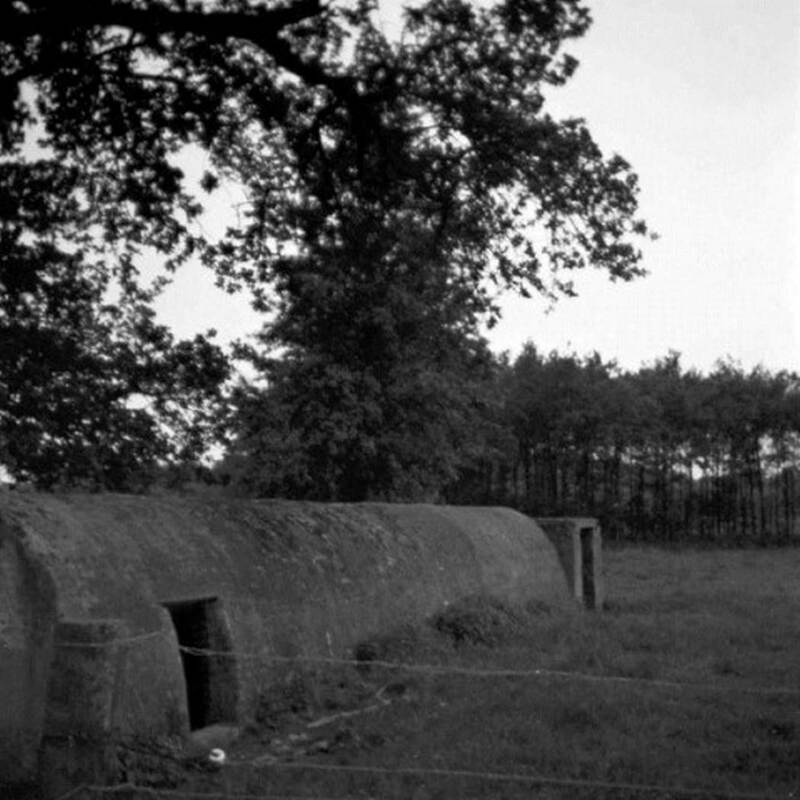 These sites were under the control of the Flak Division, which was responsible for the defence of the area. The tactical control was exercised from a combined Gefechtsstand (battlestand) and the interception was done from objectives which used HENAJA. In areas where restrictions were imposed on the Flak, night fighters were present. As a result of a limited operation of the Lichtenstein radar, now installed on the fighter, a very accurate interception guidance still was necessary. Meanwhile was the Auswert-Tisch was replaced for the Seeburg-Tisch, the position of both Hunter and bomber were projected in the table by lamps under the table. A light bulb for the bomber and another bulb for the Hunter. 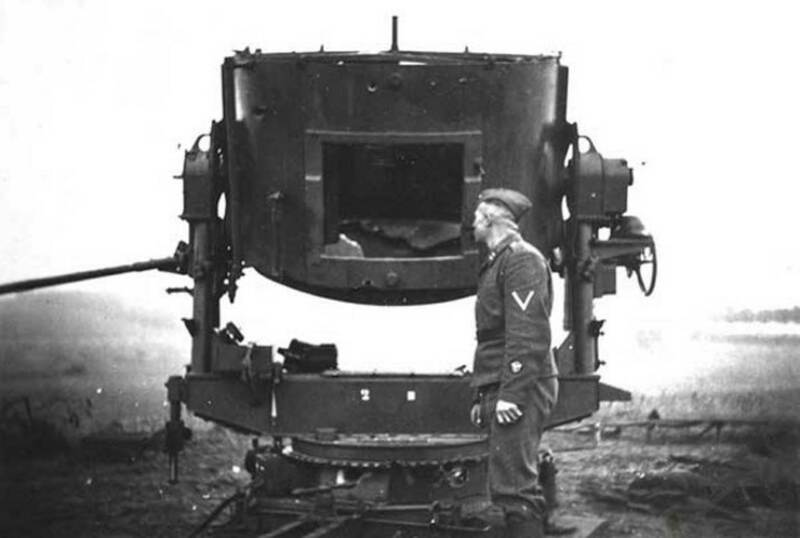 This form of combat leadership was called Seeburg-Lichtenstein-Verfahren, nothing else than HENAJA but without searchlights. 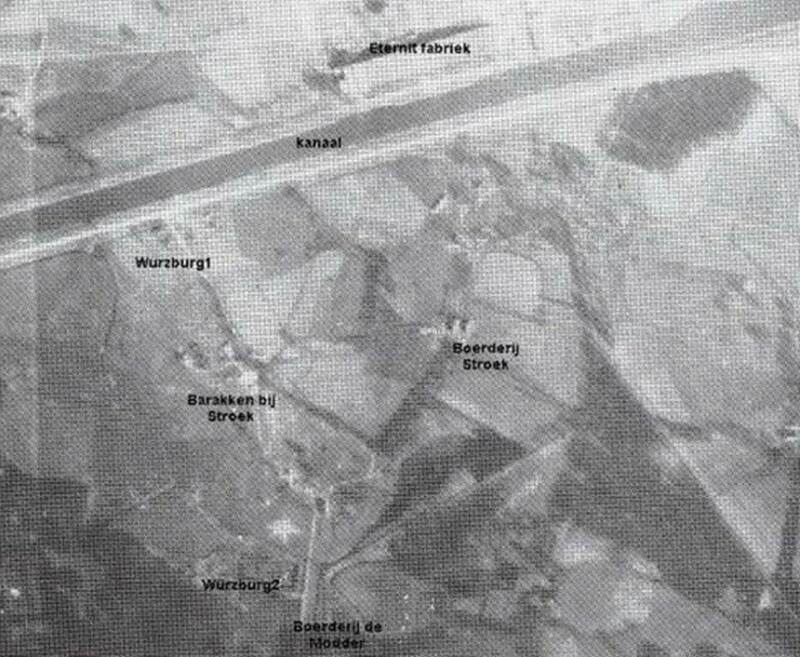 With the introduction of the Würzburg-Riese and the Seeburg-Tisch these sites were renamed DUNAJA Stellungen because the searchlights were removed. The defense of the main areas took place in three zones. Zone 1 was located in the occupied territories of Belgium and the Netherlands, German and Danish wadden Islands. Here we found a number of radar stations with names of aquatic animals Biber (Beaver, East Voorne), Hering (herring, Medemblik), Zander (Zander, Zandvoort), Salzherring (salted herring, Den Helder) They directed the night fighters at the various Dutch airports (Bergen, Leeuwarden, Twente and Venlo) to the discovered bombers. 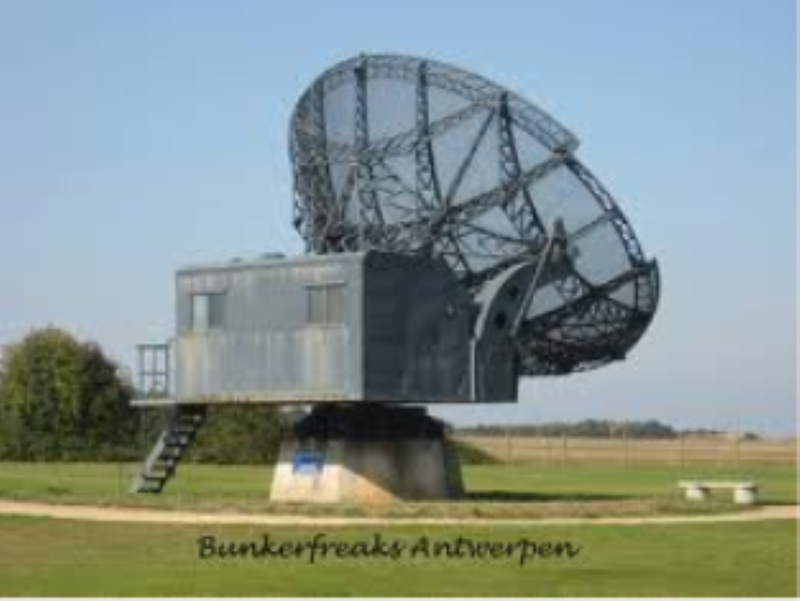 Slightly further inland were the larger radar stations with landanimal names such as Lowe (Lion, Leeuwarden), Gazelle (Veendam) and Hase (Hase, Harderwijk). 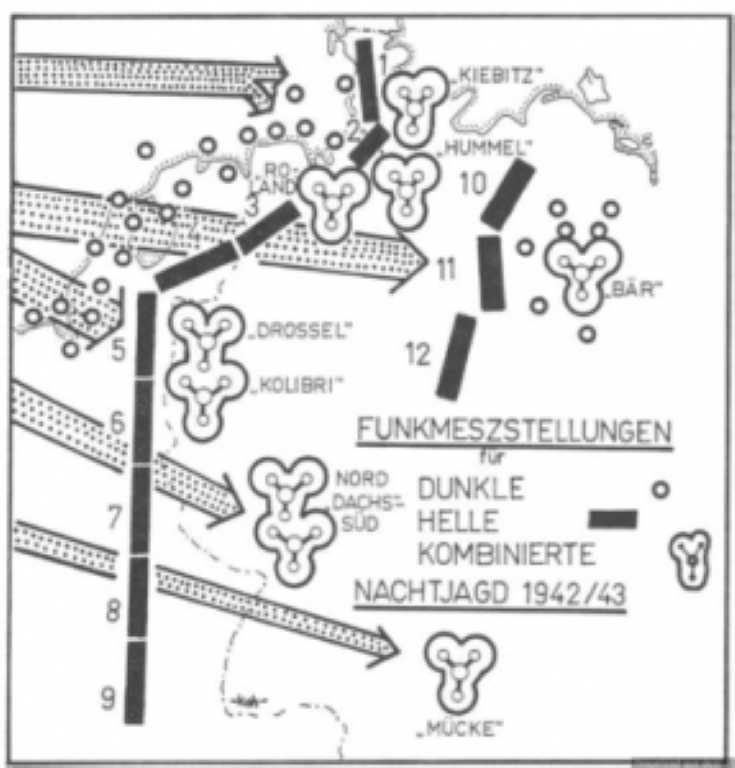 The second defense zone was the so-called Himmelbett zone. It stretched for Denmark via the East of the Netherlands to southern France. 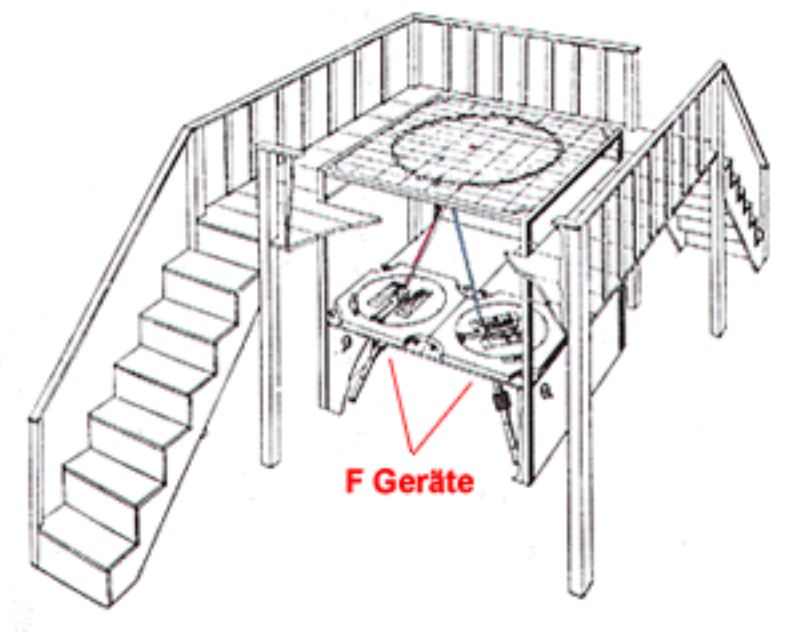 The Himmelbett was constructed from areas (Raum) with a size of 32 km in length (North- South) and 20 km wide (East-West). Each was equipped with a radar setups, 2 night fighters and air traffic control post for a large number of FLAK-spotlight and FLAK-cannons. Behind the Himmelbett the Netherlands airports Twente and Venlo were found. Also in the German territories behind the Himmelbett were at strategic spots radar stations combined with FLAK and night fighters situated. The very last line of Defense, the so-called “Nachtsperrgebiet” were “No-fly zones” around the major cities and industrial areas. because the night fighters were not allowed in these zones the FLAK-guns could shoot freely. In the year 1943 the tactics of the night fighter was altered. Due to the improvement of the Lichtenstein radar mounted on the fighters the planes were directed into the stream of bombers and left alone to do the job. 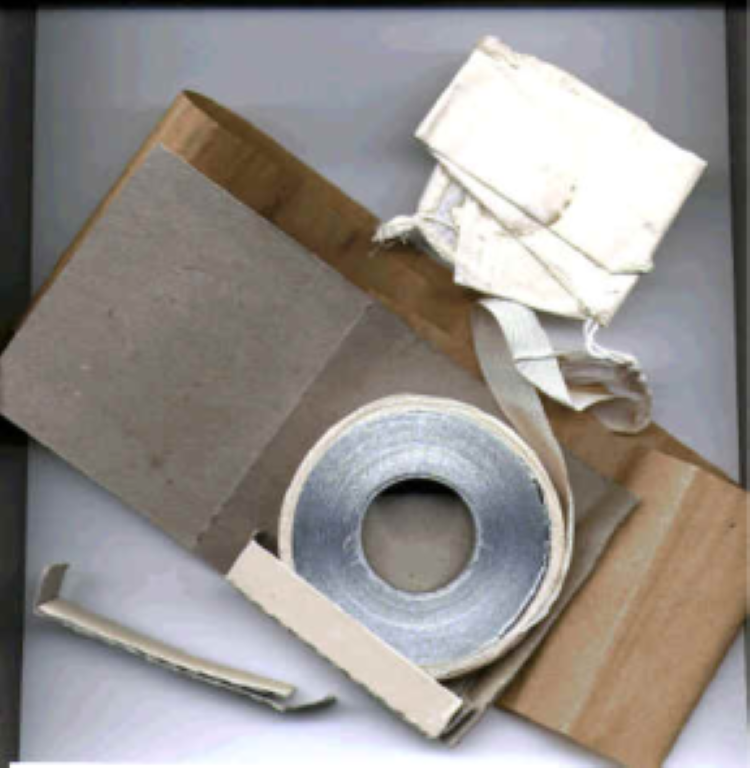 More about these tactics you can read in the section about the planes itself. The system was operational until the end of the war. Only the effect of the attacks of the night fighters reduced rapidly due to heavy losses of planes and trained crew. 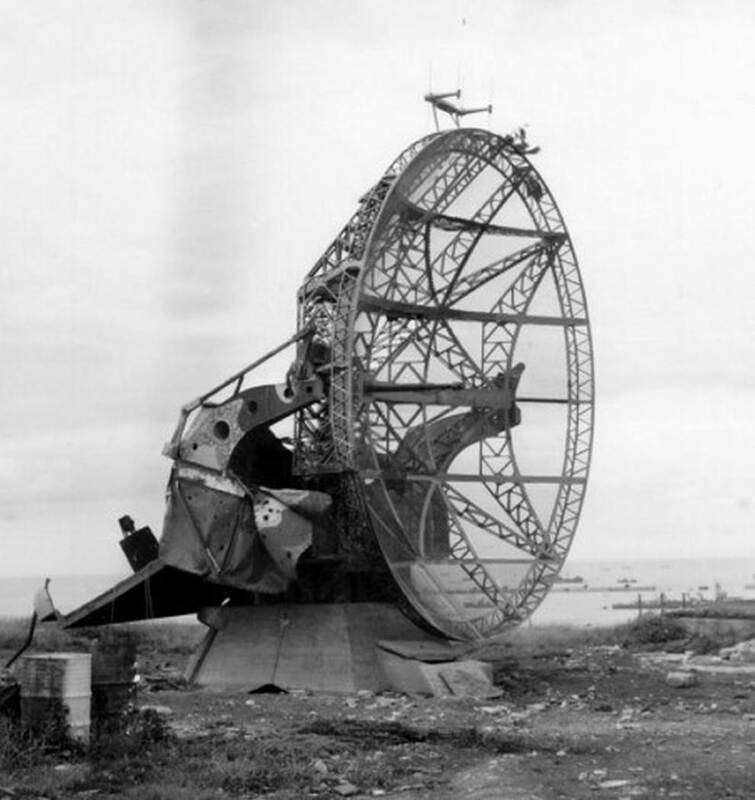 Also the recapture of radarposts by the allied groundforces made the system disfunction sooner or later. That the system was not effective enough against a bomberstream that with large numbers of planes close to each other passing only one zone. 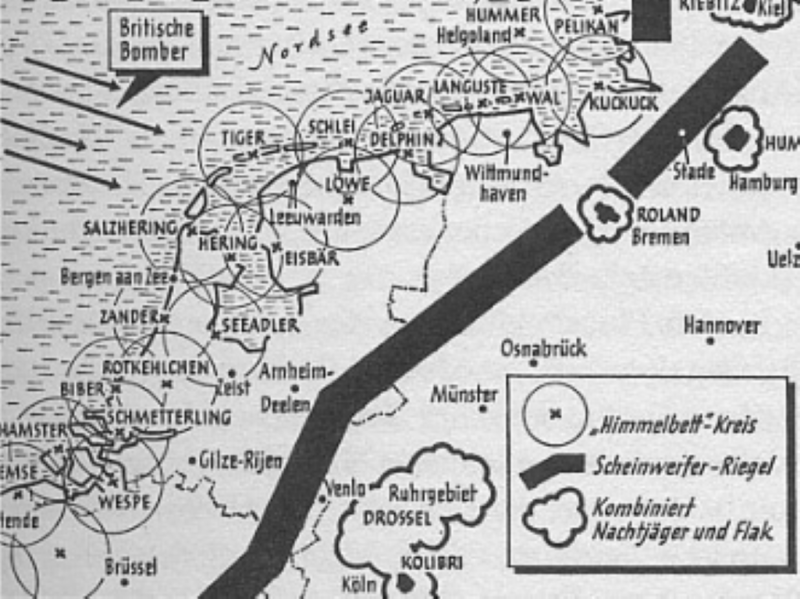 When the allies realized this as themselves around 1942, bomberstreams were organized so that there were a lot of planes passing such a zone in a short time. Each site could guide only one night fighter per time and most bombers survived this way. The Germans responded by introducing more radar posts and night fighters in front of and behind the Himmelbett. Second solution was to upgrade the equipment to accompany 2 night fighters simultaneously. Tijdens de tweede wereldoorlog stond er aan het Twentekanaal tussen het Weldam en Diepenheimse Broek een Duitse radaropstelling. In Goor noemden ze dat het Lunapark vanwege de ronde draaiende apparaten, die inderdaad wel wat van kermis-attracties weg hadden. Het geheel werd nog vervolmaakt met een aantal zoeklichten en afweergeschut. Dus licht en lawaai was er ook. De Duitse codenaam was “Kröte”, vertaald “Pad”, zo’n glibberige kikker. Hier ziet U Kröte in het Twentse land liggen. Het geheel werd in 1942 opgebouwd. De bemanning bestond uit ca. 150 soldaten. 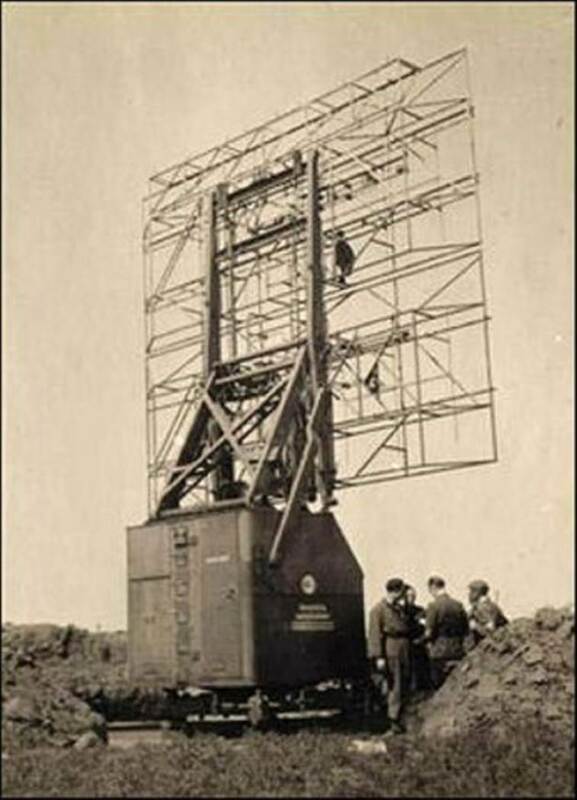 De radarstations ressorteerden (voorjaar 1943) onder de Eerste Jagddivisie van Von Döring. In ons land werden de stations bemand door personeel van Luftnachrichtenregimenten (Ln.-Rgt.) 201 en 211. Na een reorganisatie eind 1944, en na het sluiten van Seeadler (In de Bloemendalerpolder), was alleen een Luftnachrichtenregiment 223 aanwezig. Op de bovenstaande kaart zijn de plaatsen te zien waar de verschillende opstellingen stonden. Er waren drie soorten, Categorie 1, of wel 1. Ordnung, Categorie 2 en 3, resp. 2. en 3. Ordnung. De 2. Ordnung, de categorie waarin Kröte valt, bestond meestal uit 1 of 2 Freya-radars, 2 Würzburg-Riesen, 2 Y-Linie (Y-peilers), 1 radiobaken, 1 lichtbaken en een radiozender. 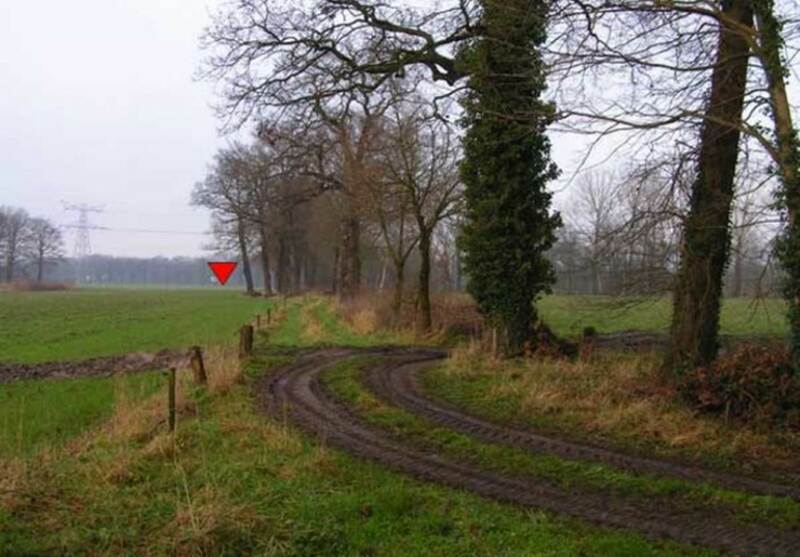 Rechts van de rode pijl ziet U Rheinsalm, dat was een radarstation van de 1. Ordnung, een grotere dus. Kröte werkte nauw samen met deze opstelling. De Freya-radar werd gebruikt om vliegtuigen op grotere afstand te vinden, waarbij alleen de richting en de afstand gemeten konden worden. De Würzburg-Riese kon de afstand, de hoogte en de richting van het vliegtuig bepalen, maar dan wel over een kortere afstand. De nachtjagersector waar zich de beide radarstations zich bevonden was “Raum 4C” (van de zogenaamde Kammhuberlinie). Vanuit de lucht was Kröte nauwelijks te ontdekken, alleen de Würzburg-Riese, die dicht bij het kanaal stond, was goed te zien. De rest was zodanig geplaatst en gecamoufleerd, dat het bijna onzichtbaar was. 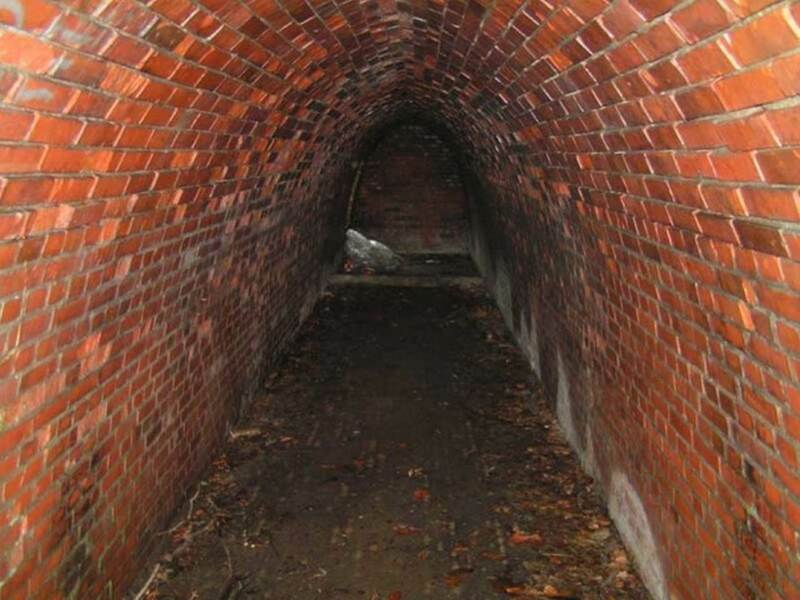 Dit is het weggetje naar de gebouwen bij de boerderij “Stroek”, de rode pijl geeft aan waar het ongeveer geweest is. 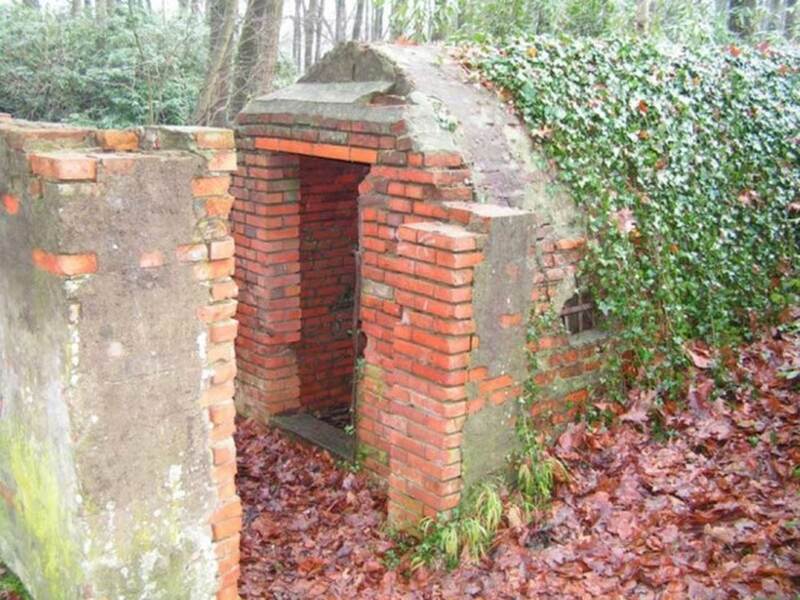 Deze bunker stond in de buurt van de boerderij van van der Veen ( Stroek?). De Radar bij de boerderij “De Modder” was vanaf het kanaal niet goed te zien. Zo her en der stonden ook zoeklichten, die met rieten matten aan het oog werden onttrokken. Waar het afweergeschut precies stond kan niemand zich herinneren. Een luchtfoto van het gebied waar “Kröte” was opgesteld. 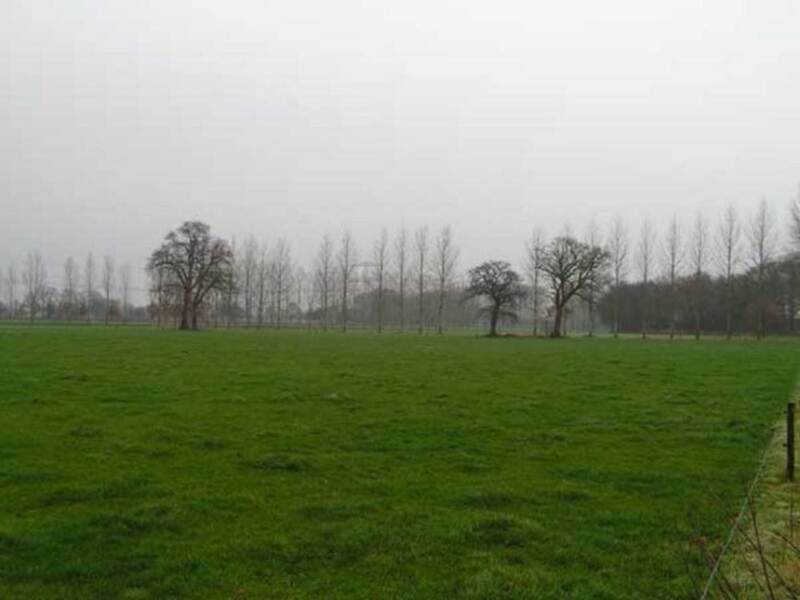 Nabij de schuilkelder achter het kasteel “Weldam”, bevonden zich ook gebouwen, één met verbindingsapparatuur en andere toestellen en één als onderkomen voor de officieren. De bewoners van de boerderij van Jacobi, hebben na de oorlog hier een tijd in gewoond, aangezien hun boerderij totaal vernield was. Bij de Würzburg no.1 was ook nog een bunkertje, alwaar een kennis van mij na de oorlog nog in heeft gespeeld. In Goor waren ook enkele vrouwen die bevriend waren met de Duitse bemanning van het Lunapark. Twee zijn er ook getrouwd met deze mensen. Ik heb beide mannen gekend. Het waren niet de fanatieke Duitsers die je zou verwachten, eerder het tegendeel, zeer nette, aardige en rustige mensen. Ze zaten daar ook niet vrijwillig. Een van hen was medewerker van Telefunken, een begaafd technicus, die voor onderhoud en reparatie van de radio- en radar-appparatuur moest zorgen. Verder ontstonden er zo nu en dan ook bijnamen voor Goorse mensen. Een ervan was “De Waterfietse”, deze vrouw, waarschijnlijk verblind door de liefde ( of wat anders) had op de terugweg van de barakken van het Lunapark naar Goor, even vergeten dat er nog een kanaal tussen zat. Zij koerste met een luide plons in het koude kanaalwater. De schuilplaats met ingang. Tijdens de oorlog was het geheel onder aarde bedolven. Op deze afbeelding is duidelijk de schervenvanger voor de ingang te zien. De ingang vanaf de andere zijde. De achterkant, met een soort nooduitgang. Gezicht vanuit de plaats van de schuilkelder op de plaatsen waar de barakken stonden. 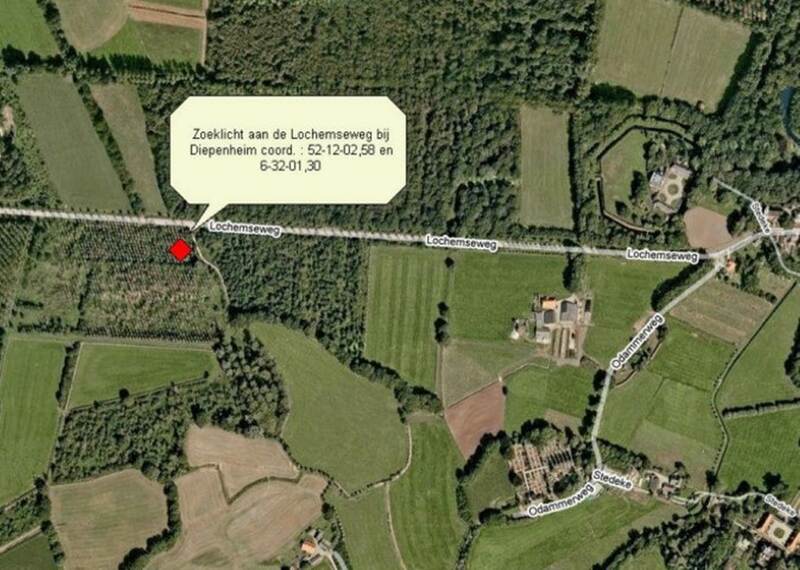 Het pad, tussen de bomen, waar het radar-personeel over vluchtte bij luchtaanvallen. Dit is een Würzburg-Riese in een wat gehavende toestand aan de Normandische kust. Van dit soort stonden er dus twee op het Weldam. Hier nog een foto van een Würzburg. De werking van de Würzburg-radars: Een fragment uit een verhaal over een Duitse jachtvlieger. Zo rond kwart over twaalf kreeg Oberleutnant August Geiger bevel om op te stijgen. Aannemelijk is, dat hij naar het radarstation Kröte, dat in de omgeving lag van Goor, werd gedirigeerd. Boven het radiobaken van het radarstation aangekomen, moest hij, wachtend op nadere instructies ‘van beneden’, op de voorgeschreven hoogte blijven cirkelen. In het station intussen, merkte de operateur van het ‘Freya’ radarapparaat een bommenwerper op die een koers volgde die afweek van die van de overige bommenwerpers. Een makkelijk herkenbaar doel, waarop weldra de veel nauwkeuriger volgradar van het type Würzburg – Riese werd gericht. Een tweede apparaat van hetzelfde type werd op de eigen nachtjager gericht De positie van beide vliegtuigen werd doorlopend gemeten en vanuit de bedieningscabines van de radarapparaten doorgegeven naar de centrale post van het radarstation. Daar werden beide posities op een horizontale, matglazen kaart geprojecteerd; de positie van Doug Browns toestel werd met een rode stip weergegeven, die van de Me 110 van August Geiger en zijn twee metgezellen met een blauwe. Bovendien werd de vlieghoogte van beide vliegtuigen zeer nauwkeurig door de radarapparaten bepaald. 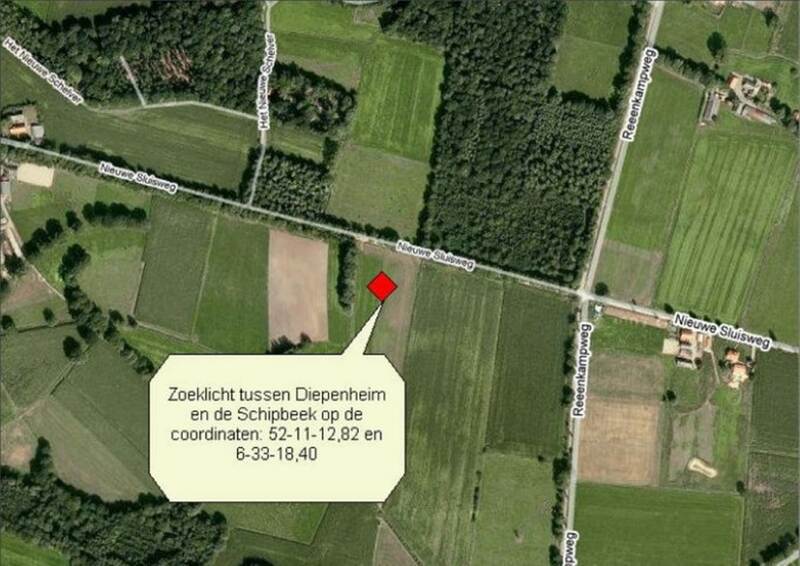 De gevechtleidingsofficier (Jägerleitoffizier), die naast de glazen kaart stond, gaf Geiger via de radio zodanige instructies aangaande koers en vlieghoogte, dat op het matglas voor hem de blauwe stip zich zo snel mogelijk dicht achter de rode bevond en de vlieghoogten vrijwel gelijk waren. Voor een geroutineerde gevechtleidingsofficier en een dito nachtjagerpiloot een niet al te zware opgave. De radaroperateur van Geiger, die de instructies van de gevechtleidingsofficier aandachtig volgde, begreep dat de bommenwerper waarop zij jaagden binnen bereik van hun boordradar zou zijn, wanneer de onderlinge afstand geslonken was tot ca. 3.300 m en de Tommy in de zoekhoek van 70º terecht kwam. Het duurde inderdaad niet lang, of de radarecho die het grote vliegtuig produceerde, tekende zich al af op de drie beeldbuisjes in de nachtjager. Dit was het ogenblik waarop Geiger de onderschepping op eigen kracht moest pogen te volvoeren. 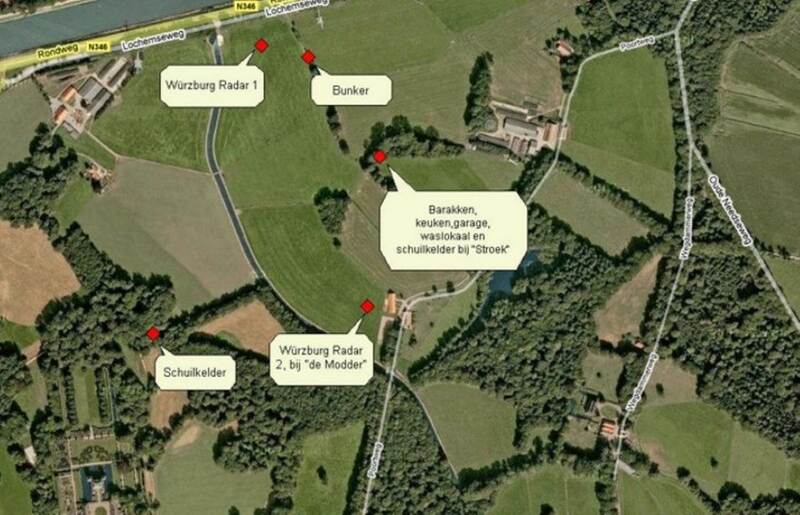 De beide Würzburg – Riese radarantennes in Kröte lieten hun ‘prooien’ los, op zoek naar een andere bommenwerper en een andere nachtiager. De Freya Radar in het Diepenheimsebroek. De plaats van de Freya. Er stonden barakken in het “Pruussen buske of Duutse buske” , het bosje, wat net onder de Freya te zien is. De weg langs het kanaal bestond toen nog niet. De hieronder afgebeelde Freya stond in het Diepenheimse broek, op de zogenaamde ” Luizenbelt”, een kilometer ten westen van de Würzburg radars, wel vlak aan het kanaal. Een afbeelding van een Freya-radar. De Freya-opstelling vanaf de Goorse kant van het kanaal gezien, iets verder westelijk als de onderdoorgang van de Regge. Ongeveer tussen de beide boompartijen heeft de radar gestaan. Zo ziet een fundament van een Freya er uit. Een Freya-radar met wat personeel. Een afbeelding van de Freya antenne-constructie. De Y-Linie of wel de Y-Peilers. Hiervan moeten er twee van hebben gestaan in de buurt van de Würzburg-Riesen. Hierboven een toren met een Y-peiler. Vaak waren de torens van hout gemaakt. Een afbeelding van het Y-peil principe. Hoe dat precies werkte moet ik nog nader onderzoeken. Zoeklichten in de omgeving van Diepenheim. Niet alleen bij het Lunapark stonden zoeklichten, in de wijdere omgeving waren ze ook aanwezig. Twee plaatsen waarvan men weet dat ze daar stonden, staan hieronder vermeld. Zoeklicht aan de weg van Diepenheim naar Lochem, rechts, iets boven het midden, “Huis te Diepenheim en rechts daarvan de kerk. Hierbij een afbeelding van een Duits zoeklicht. 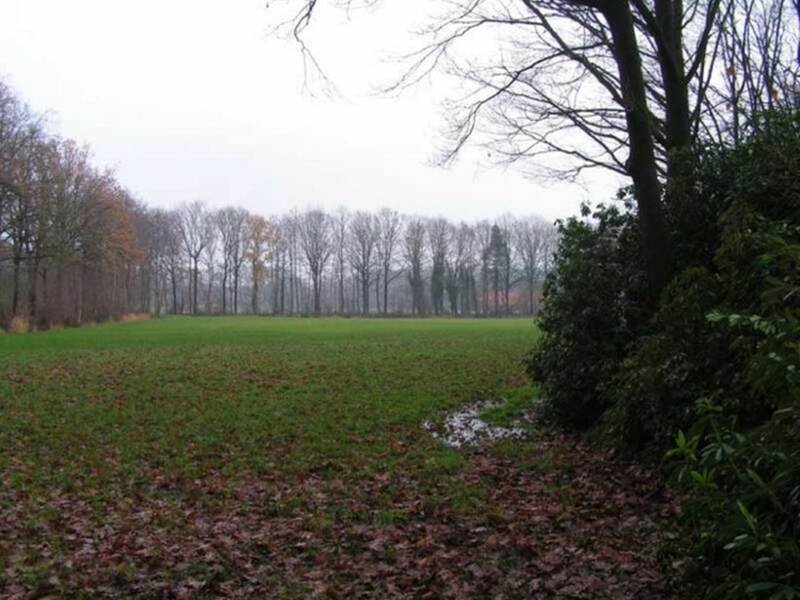 Ook in “de Helle”, een gebied ten zuiden van Diepenheim, tussen het stedeke en de Schipbeek, stond een zoeklicht. Hieronder nog een paar foto’s van Duitse zoeklichten. De heer Jan Teger te Diepenheim. Boeken van Fritz Trenkle Diverse bronnen op internet, die deeltjes van de puzzel opleverden. Verder is er op de site www.forteninfo.nl heel veel te zien en te lezen over forten, bunkers en radaropstellingen.